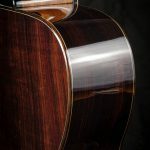 Indian rosewood or American/Eurpoean maple for the back and sides. European spruce or Western red cedar for the soundboard. 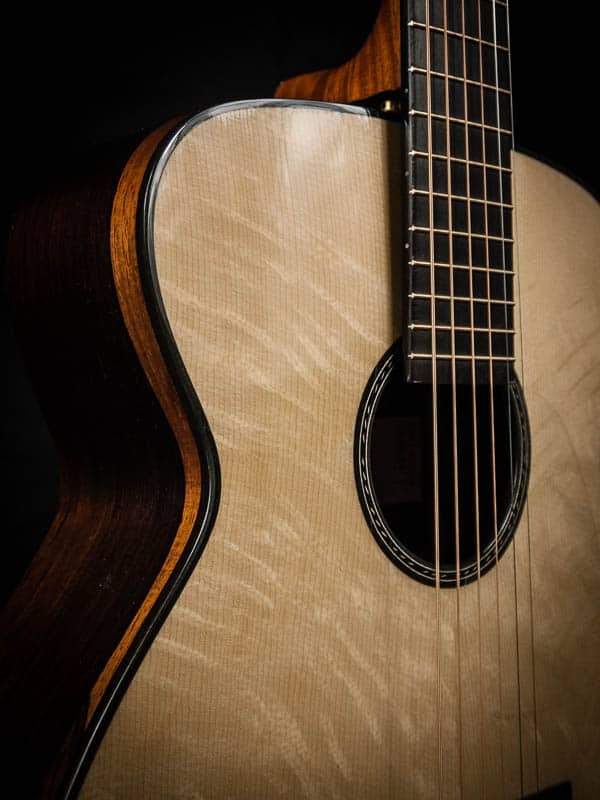 Sri Lankan ebony fretboard with a Cuban mahogany or American maple neck. 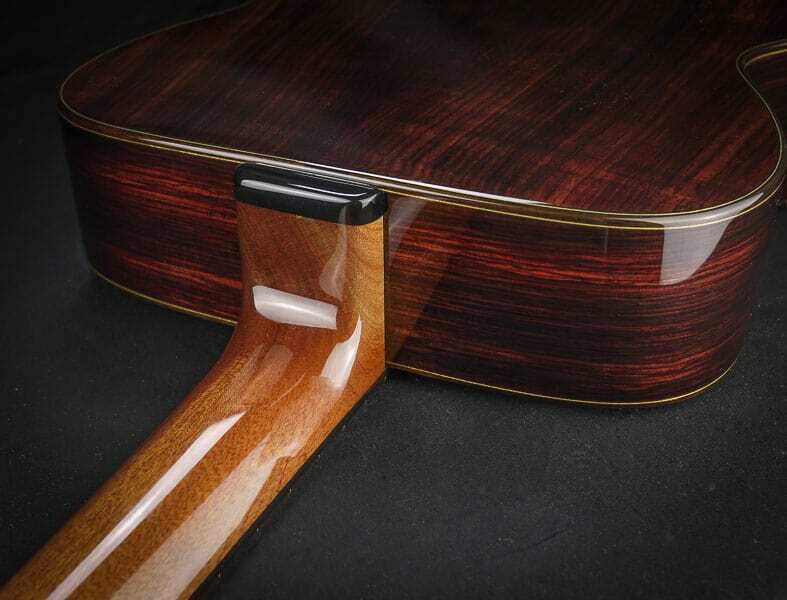 The bridge will be either ebonised fruitwood or Rocklite, an excellent lightweight all-wood modern ebony substitute. The binding is Rocklite, dyed maple and fibre purfling lines. The finish is a high gloss modern lacquer. 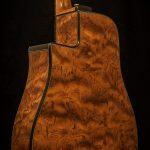 Khaya mahogany back and sides. Sri Lankan ebony fretboard. 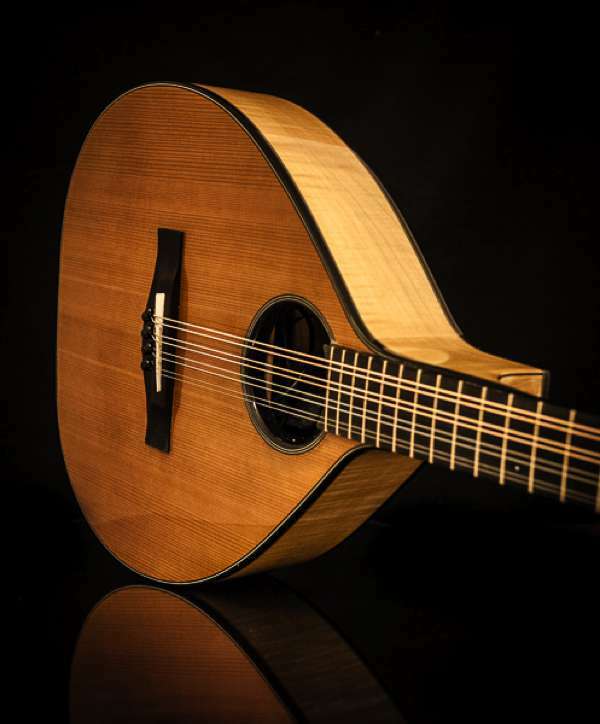 The neck is mahogany or maple. 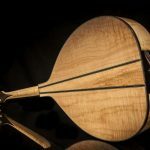 European spruce or cedar soundboard. The bridge will be either ebonised fruitwood or Rocklite. Rocklite binding, dyed maple and fibre purfling lines. The finish is a high gloss modern lacquer. 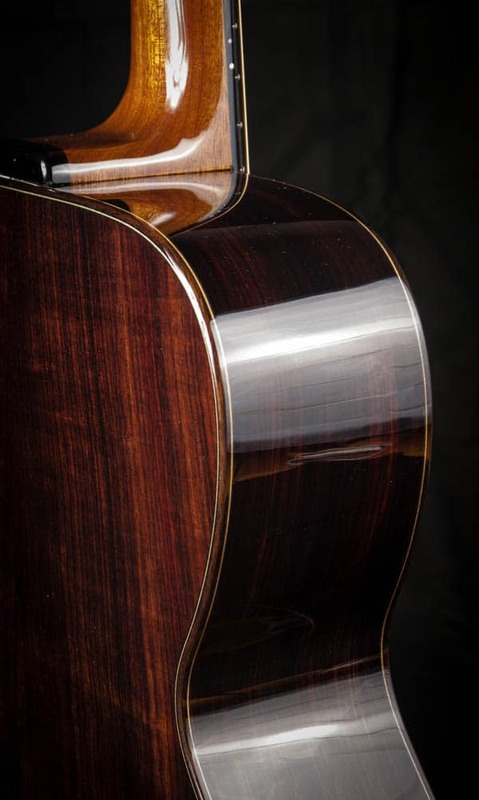 Like the SK-Adv, the back, sides and neck are khaya mahogany, the fretboard is Indian rosewood. 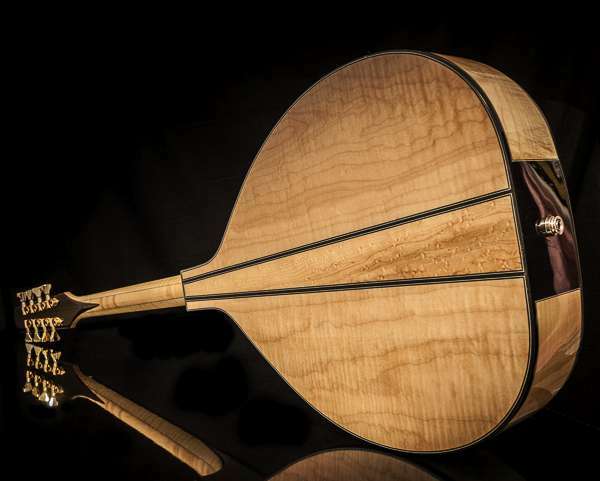 The soundboard is cedrela and can be upgraded to spruce or cedar. The bridge will be either ebonised fruitwood or Rocklite. The bindings, if present, are old style celluloid. The finish is satin lacquer. 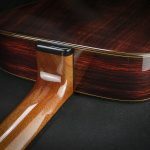 Back and sides upgrade: many choices including FSC ebony, figured pomelle bubinga, figured sapele, wenge, flame maple, birds eye maple, or fancier rosewoods. 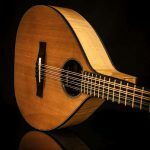 For soundboards: as well as a wide range of European spruces and Western red cedar, I have good stocks of both American sinker redwood, torrefied sitka spruce and old Adirondack spruce. 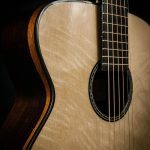 Please contact me with information or links to sustainable or reclaimed tonewoods, or alternative materials.